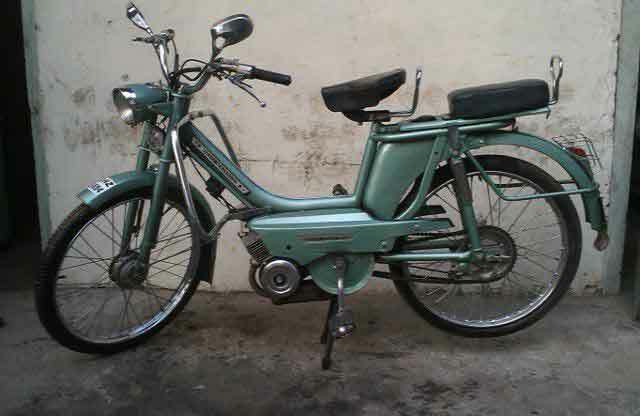 A moped is a small, two-wheeled automotive bicycle-vehicle with pedals. The Swedish journalist Harald Nielsen first made up the word “moped” in 1952. It is a combination of the Swedish words "motor" and "pedaler". The moped has a smaller capacity automotive engine to run itself. So, generally, most mopeds in the world install a petrol engine for this purpose. 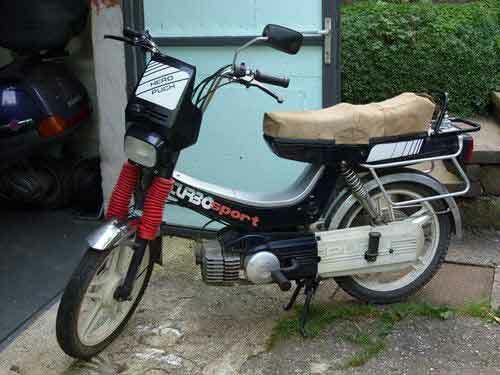 Earlier, the moped manufacturers offered a Two-Stroke/Spark Ignition (SI) engine for the mopeds. Nowadays, they use a Four-Stroke/Spark Ignition engine for powering them due to regulations for emission control. However, battery-powered electric mopeds or e-mopeds are also now getting popular in the world. Generally, the manufacturers divide the two-wheeled vehicles into two main categories. They are - the Scooters and Mopeds. There are other sub-categories such as the electric mopeds or the e-mopeds. However, many fall into these two main categories according to their application and usage. 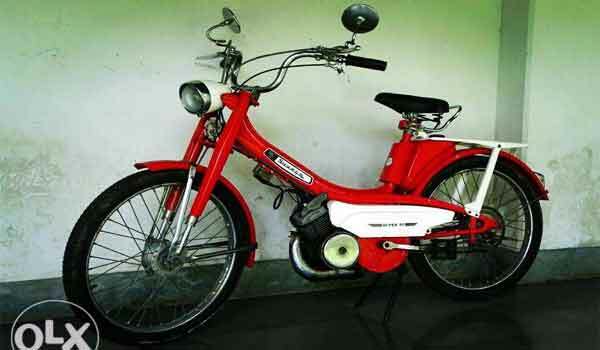 Indian brands Hero and TVS made the mopeds popular in India; Hero Puch & TVS Luna being very popular. So, generally, most of the mopeds around the world have similar size and price range compared to the other bikes. Furthermore, the moped is the ones which people use for daily commuting of a very short distance ranging from 5 km to 25 km or so. Besides, you can also peddle them and use as bicycles. Hence, the manufacturers offer smaller engine capacities for these bikes. Thus, the mopeds are those with engine capacities of up to 50cc and power output up to 5 bhp. So, some of these mopeds with a low-capacity engine such as the Hero Puch delivered an astonishing average of up to 90 Km/L. 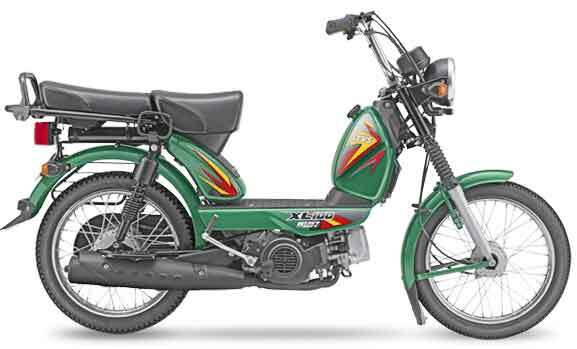 However, the newer generation moped such as the TVS XL 100 has a 100cc engine which delivers a combo of 4.5 Ps power and 67 Km/L mileage. Often, the mopeds have a simple design/shape and manufacturing process. Most mopeds have a step-through frame design while others have a chassis-frame design. It includes a backbone and a raised fuel tank that sits directly between the saddle and the head tube. The term "moped" now applies only to the low-power (often super-economy) vehicles. However, some early mopeds had the pedals too. So, technically, they are economical to make and buy compared to the commuter bikes. The mopeds have less mileage and maintenance. Primarily, their focus is on the affordability and convenience. They also have inexpensive and durable spare parts. Hence, they are easy on pockets and do not have many petty issues to deal with. Most of the mopeds are very affordable to buy and use. They provide an economical personal transportation solution to users. Hence, they are more popular all over the world. Generally, the mopeds have lower power & torque, solid colors, and simple design/style. To summarize, the mopeds carry out the duty of day-to-day city commuting without many hassles. They can also negotiate the stop-and-go traffic quite well because of the short wheelbase and compact size. They also offer some degree of comfort and convenience. So, they are ideal mainly for the intra-city travel. Thus, generally, the mopeds command a lower price-tag. However, the moped is not ideal for long-distance commuting because of the limited safety, inadequate suspension, and braking ability. Hence, most people use them only within the city areas for the day-to-day commute. Avanti Garelli, Hero, Royal Enfield & TVS from India and Honda, Lambretta, Harley Davidson, Vespa, and VeloSolex are some of the popular manufacturers of the mopeds in the world. How the Emergency Signal System (ESS) Works?